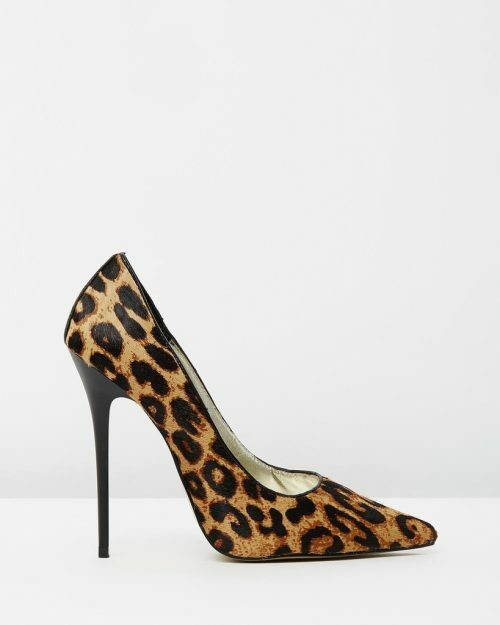 The Khloe Heels in Leopard Pony are the perfect wear everywhere heel that goes with everything! 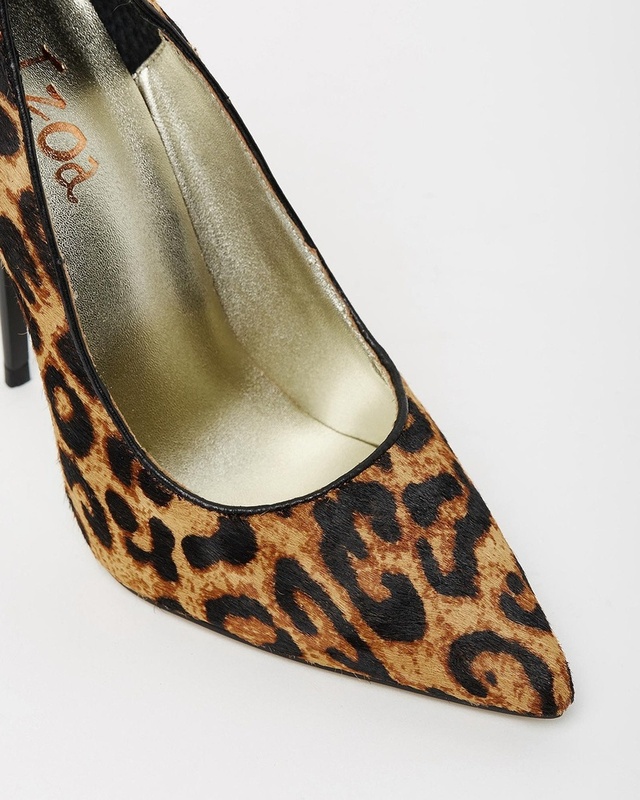 Very chic in style, these shoes are high with no platform, a pointed toe and leopard print pony hair upper. A great classic heel they will work with everything in your wardrobe, ideal for work, cocktail parties, nights out, weddings or any formal event.